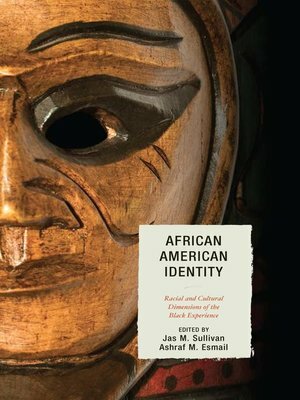 Jas M. Sullivan and Ashraf M. Esmail's African American Identity: Racial and Cultural Dimensions of the Black Experience is a collection which makes use of multiple perspectives across the social sciences to address complex issues of race and identity. The contributors tackle questions about what African American racial identity means, how we may go about quantifying it, what the factors are in shaping identity development, and what effects racial identity has on psychological, political, educational, and health-related behavior. African American Identity aims to continue the conversation, rather than provide a beginning or an end. It is an in-depth study which uses quantitative, qualitative, and mixed methods to explore the relationship between racial identity and psychological well-being, effects on parents and children, physical health, and related educational behavior. From these vantage points, Sullivan and Esmail provide a unique opportunity to further our understanding, extend our knowledge, and continue the debate. Jas M. Sullivan is an assistant professor of political science and African and African American studies at Louisiana State University. Ashraf M. Esmail is an assistant professor in social sciences at Southern University at New Orleans.